1) When did you first became interested in Mortal Kombat and why? When I was about 16 years old, I went to the fair to play some arcade games. There I saw a new game with a lot of people around it, mostly younger kids, so I got in line. When it was my turn, I played it and I instantly got addicted and excited about the game play and fatalities. 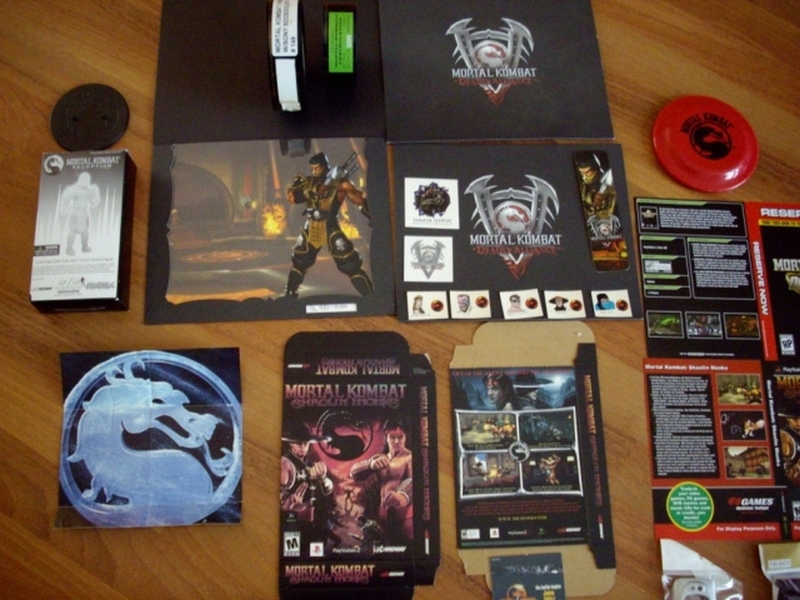 2) When did you started collecting Mortal Kombat Merchandise ? Well I started collecting pretty soon after I played the game at the fair. A little bit later I also made drawings of MK characters and I made a map with codes and hints of different kinds of consoles. 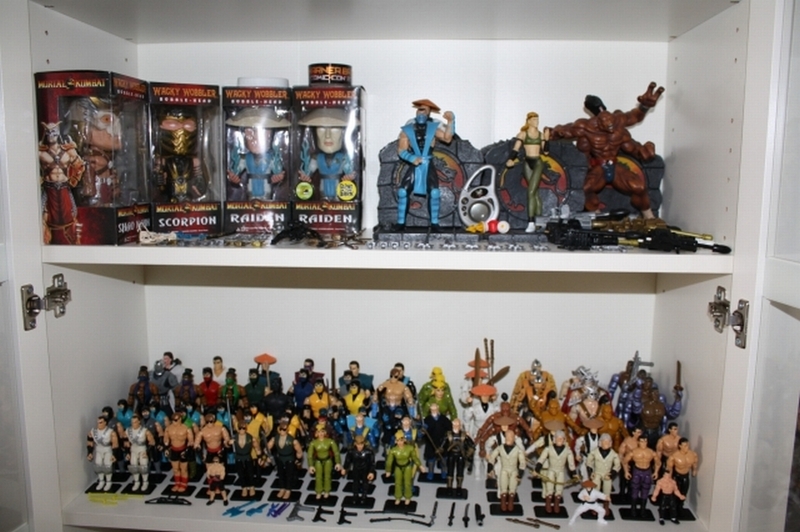 3) Do you collect other things besides Mortal Kombat ? I also collect Hard Rock T-shirts. But only of the cities that I have been to, I don’t buy them online. I also love to eat at Hard Rock Cafés, mmmh nachos. 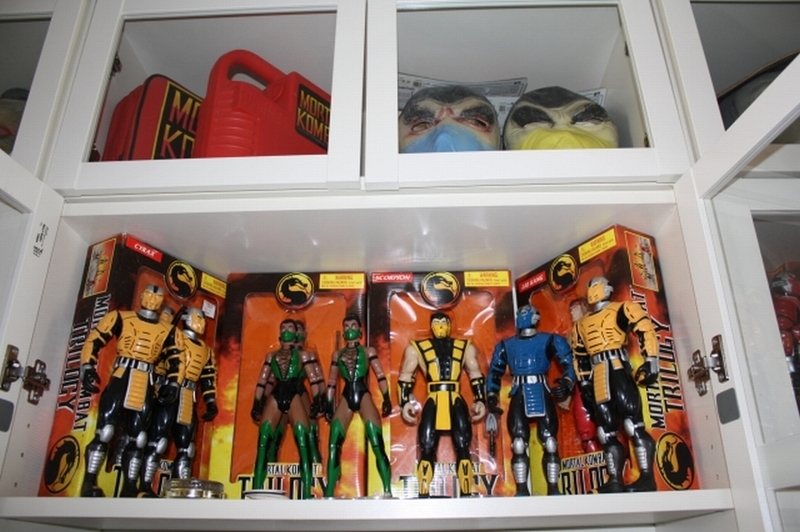 4) What makes it so fun to collect Mortal Kombat items compared to people who collect different things? Well that’s just my thing, I love to collect the MK stuff. It’s almost an addiction now. I also like it when I get positive feedback of other people and other collectors about my collection. 5) What is the coolest item you own? One of the coolest items I have is the MK Knife from Kano as in the first MK movie. Made by Gil Hibben. 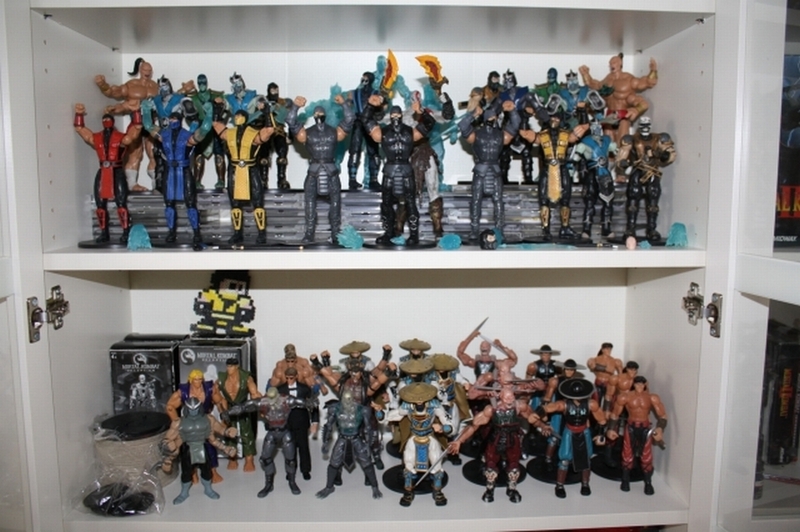 I also really like the MK statues, I already have 2 of them. 6) And what would you still like to have? I would really like to have more statues, I actually would like to have all of them. They still keep coming with new statue figures, and that’s really awesome. To my opinion it’s really artwork, the statues are really good detailed. 7) What do you think is the best Mortal Kombat game ever? For me that would be the MK2 and the MK9 game. I liked the MK2 game because it had a lot of new characters at that time and the fatalities were also very cool. I think that the MK2 game is the game I played the most. 8) If you could wake up as a Mortal Kombat character, who would it be and why? If I could choose, then I would like to be Sub-Zero. Maybe it would be possible to freeze time then? 9) Which fatality certainly should be made into a game which hasn’t been made yet? To my opinion there should be a menu so when you do a fatality, you can choose from the menu which fatality you would like. 10) Dating Megan Fox / your dream woman or get your merchandise collection complete? Which would you prefer ? I am already married so dating Megan Fox is not and option anymore. 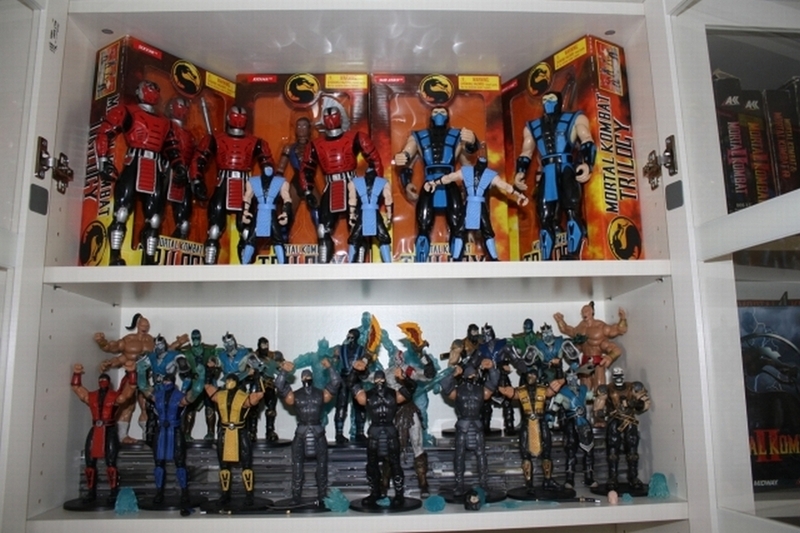 Seriously, I would prefer to complete my MK collection. That would be more satisfying and is a more realistic goal to accomplish.